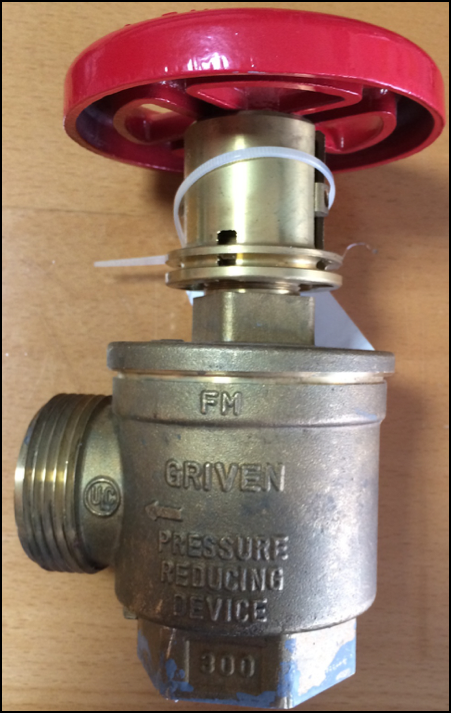 FM Approvals has been made aware of the existence of pressure reducing angle hose valves bearing a counterfeit FM Approvals marking. The counterfeit valves were found in Colombia, South America. 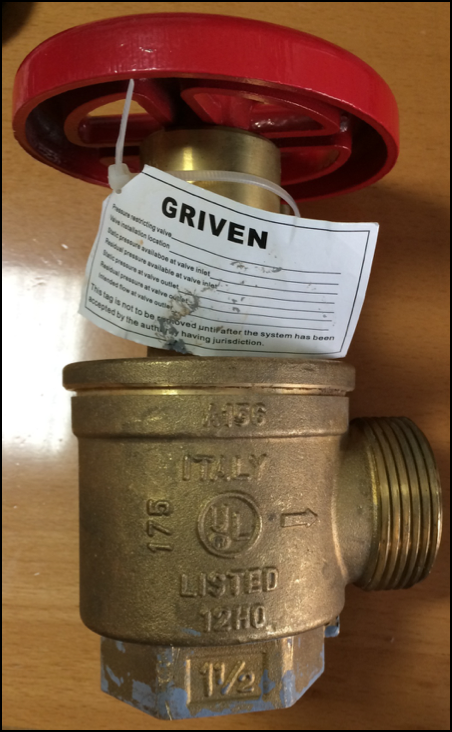 Product is labeled with the names “Griven,” “Giacomini” and the presumed model designation “A156”. 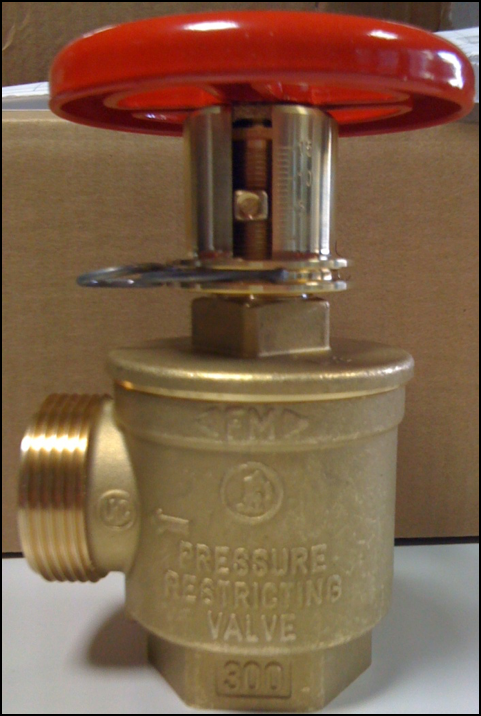 The products in question are angle hose valves used to initiate and cease water flow to hose lines for manual firefighting operations. 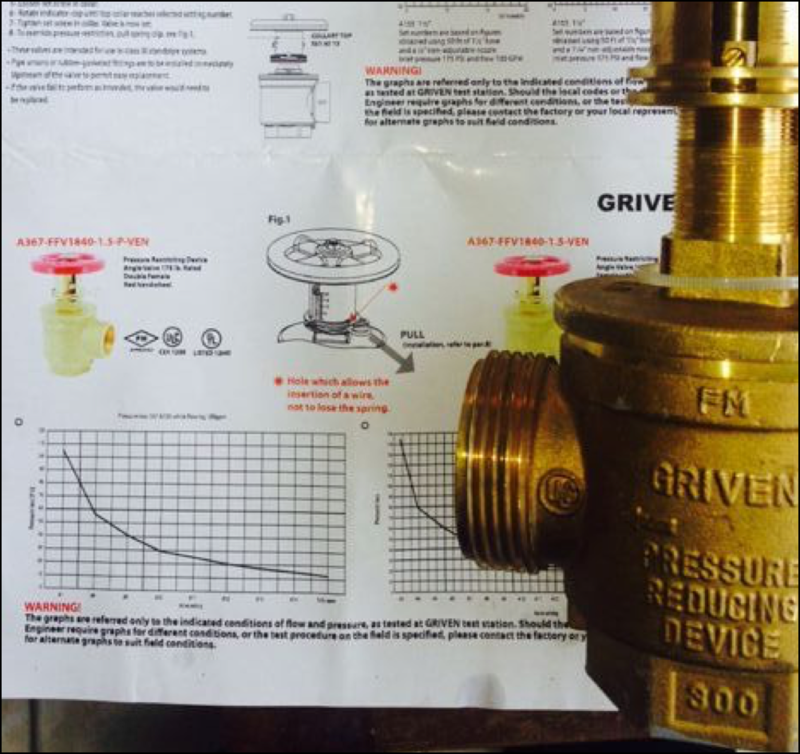 The valve stem is equipped with a mechanical device that can limit how far the valve is opened and reduce the flow pressure to the hose line. The counterfeit products bear the FM Approvals mark, despite that they have never been tested. Safety concerns of untested angle hose valves include but are not limited to the strength of the valve body and valve stem, the leak resistance of the valve seat, the leak resistance of the stem seal and the correct operation of the pressure reducing device. The product was not manufactured by Giacomini S.p.A. 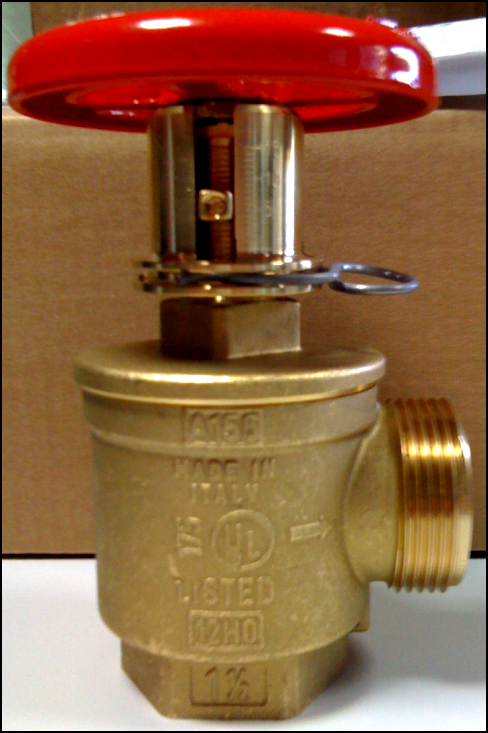 Figure 3 below shows the product data sheet that was found with the counterfeit valve. Another counterfeit version of the FM Approvals marking is printed on the product datasheet, indicated by the yellow arrow.